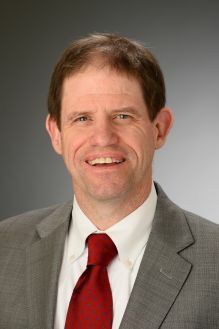 Gerard F Anderson is a professor of health policy and management and director of the Johns Hopkins Center for Hospital Finance and Management. Prior to coming to Johns Hopkins in 1983, Dr Anderson worked in the Office of the Secretary of the US Department of Health and Human Services from 1978 to 1983. Dr. Anderson is currently conducting research on chronic conditions, comparative insurance systems, medical education, health care payment reform, and technology diffusion. He has directed reviews of health care systems for the World Bank, World Health Organization and USAID in multiple countries and has directed over 100 research projects. He has authored two books on health care payment policy, published over 250 peer reviewed articles, testified in Congress 50 times, and serves on multiple editorial committees. Magali BARBIERI. 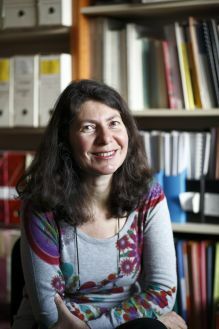 After receiving her PhD in Demography at the University of California, Berkeley, where she received rigorous training in formal demographic methods, Magali obtained a research position at the French Institute for Demographic Studies (INED) in Paris, France, where she led a research group on demographic dynamics in developing countries. Since 2006, she has also been an Associate Researcher and, starting in 2014, a Full Researcher in the Department of Demography at the University of California, Berkeley, where she holds a joint position with INED. At Berkeley, she has been working in various capacities for the Human Mortality Database (HMD) project and she became its Associate Director in 2013. First published in 2002, the HMD is an open-access database with uniformly constructed series of mortality rates and life tables for 38 countries. The HMD is now a worldwide reference for mortality research, with nearly 40,000 registered users and more than 1,800 scientific peer-reviewed publications citing the database as their main source as of the end of 2015. Over the past couple of years, Magali has also been leading an effort to create an HMD-like database for all 50 U.S. states and D.C. for years 1959-2013 in collaboration with researchers from the U.S. National Center for Health Statistics. In addition to her leadership role, Magali has maintained an active research career, presenting papers at scientific conferences on a regular basis and publishing a series of notable articles in top demography and other internationally ranked journals (for a complete list of publications, see http://www.demog.berkeley.edu/directories/profiles/barbiericv.pdf). Though most of her initial work focused on the population dynamics of developing countries, her interests have progressively shifted to high-income countries and, more specifically, to issues of mortality inequalities and comparative trends in causes of death (both across and within countries). Magali has also been teaching various graduate courses in demography at the Universities of Paris I, X and XIII in Paris as well as at the University of California, Berkeley, and more recently at the European Doctoral School in Demography (EDSD). Nicholas BUGLER is a U.K. partner in the Corporate and Financial Services department of the firm. He advises on a wide range of issues affecting the international insurance and reinsurance industries. He advises both insurance and reinsurance companies, insurance general agents and investors of all types. Recently he has specialized in the intersection of the reinsurance and capital markets industries. Nick has advised on major corporate transactions, including complex reinsurance relationships between seller and buyer, mergers and acquisitions, the restructuring of an insurance business including cross-border transfers of an insurance portfolio into the UK; insurance business transfers under Part VII of the Financial Services Markets Act 2000; loss portfolio transfers and security arrangements offered to reinsurers. He has advised on the establishment of numerous “side car” reinsurance vehicles for UK and European insurers and advised on “cat bonds.” The interface between the reinsurance and capital markets is a significant part of his practice. He is noted as a specialist in the developing insurance linked securities market and the provision of collateralized reinsurance. He has provided advice on the structuring of business which wish to enter the London insurance/reinsurance companies’ markets and the Lloyd’s market, the establishment of the insurers/reinsurers, regulation of insurers/reinsurers in the UK and the European Union, and on the establishment of a range of permitted activities of service companies owned by insurance groups. 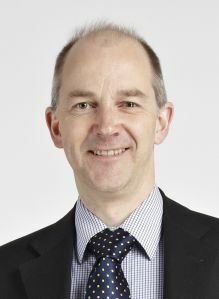 Andrew CAIRNS is Professor of Financial Mathematics at Heriot-Watt University, Edinburgh, and Director of the Institute and Faculty of Actuaries' Actuarial Research Centre. He is well known internationally for his research in financial risk management for pension plans and life insurers. His research interests have centred around the development of new models for long-term risks including yield curve modelling and pricing of long-term interest-rate derivatives. More recently he has been working on the modelling of longevity risk: how this can be modelled, measured and priced, and how it can be transferred to the financial markets. Amongst his work in this field, he has developed a number of new and innovative stochastic mortality models. In 2008 he was awarded the Halmstad Prize for his paper Pricing Death: Frameworks for the Valuation and Securitization of Mortality Risk co-authored with David Blake and Kevin Dowd. He qualified as an actuary in 1993, was elected as a corresponding member of the Swiss Association of Actuaries in 2005 and, in 2016, was elected as a Fellow of the Royal Society of Edinburgh - Scotland's national academy of science and letters. Vladimir CANUDAS-ROMO studied actuarial science/mathematics and population science, which triggered his interest on demographic methods and formal demography. Mortality and longevity are at the core of his research, and he enjoys collaborating in multidisciplinary settings where demography can also be embedded. During his education he has worked at the Max-Planck Institute in Germany and the University of Groningen in the Netherlands as well as the University of California, Berkeley, and the Pennsylvania State University in USA. He has educated others into the field of demography as Assistant and Associate Professor at Johns Hopkins Bloomberg School of Public Health in the USA, and more recently at the Max Planck Odense Center on the Biodemography of Aging, at the University of Southern Denmark, in Denmark. Together with James Vaupel, Vladimir coordinates the group of forecasting at the Max Planck Odense Center where several active researchers develop new and alternative ways of forecasting. He has advised at UN and WHO panels as well as at insurance companies, and serves as active member of demographic societies: PAA, EAPS, and IUSSP. 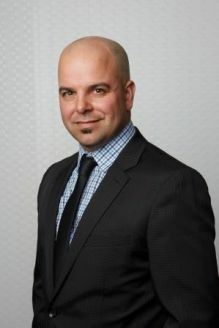 James CIAMARRO is Vice President and head of the Canadian longevity line of business for RGA Life Reinsurance Company of Canada. James has over 15 years of experience, having worked at a prominent pension consulting firm before joining RGA in 2013. His combined pension and reinsurance experience is a valuable asset as it allows his clients to benefit from innovative solutions to mitigate longevity risk. More recently, James led RGA’s team in the Bell Canada / Sun Life longevity transaction, a first of its kind in North America. James earned a Bachelor of Science in Actuarial Mathematics from Concordia University and is also a Fellow of the Society of Actuaries and a Fellow of the Canadian Institute of Actuaries. Guy COUGHLAN is Chief Risk Officer at the Universities Superannuation Scheme (USS), a defined benefit UK pension plan with assets of approximately £50 billion. Guy joined USS in January 2015 from Pacific Global Advisors where he was Chief Risk and Analytics Officer. Prior to that he held several senior roles at JP Morgan, where he spent 17 years and finished as European Head of the Pension Advisory Group. While at J.P. Morgan Guy established the longevity solutions team and led the development of the LifeMetrics framework for managing longevity risk. Together with his J.P. Morgan colleagues he was involved in executing the world’s first two capital markets based transactions for longevity risk transfer. Guy holds a D.Phil. from Oxford University and an MBA from Henley Business School. 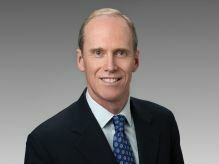 Chip GILLIS, CEO, Athene Life Re As one of the founding executives of Athene Life Re, ‘Chip’ brings experience of life insurance and annuities to the team. Prior to Athene, Chip was a Senior Managing Director of Bear Stearns & Company (“BSC”) and Head of Bear Stearns’ Insurance Solutions Group that provided advice and solutions to life and annuity companies. While there, Chip lead BSC’s entry into the GIC-backed note business and helped create the turn-key Premium Asset Trust Series (“PATS”) program, which was recognized by S&P as the only non-issuer insurance-only program. Chip built the GIC-backed note business at BSC which consistently ranked in the top six dealers in the market. Prior to joining BSC, Chip spent over three years at GenRe Financial Products providing ALM hedging solutions to U.S. life companies. Before joining GenRe Financial Products, Chip was Chief Marketing Officer and board member for Constitution Life. Prior positions included being Managing Director of the ICH companies and being an officer of Southwestern Life and Connecticut Mutual. He received his Bachelor of Arts degree in English from the University of Richmond. 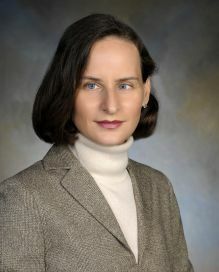 Karen GLENN is the Acting Deputy Chief Actuary for Long-Range Actuarial Estimates in the Office of the Chief Actuary at the Social Security Administration (SSA). She is responsible for the demographic and economic assumptions that underlie the 75-year estimates of the cost of the Social Security program as well as for the long-range cost estimates of Social Security. She and her staff are also responsible for estimating the financial effect of proposals to change the Social Security program. Karen has served as a key advisor and assistant for the Chief Actuary, consulting and assisting in all technical areas. She has coordinated the production of all work done in conjunction with the Social Security Board of Trustees, including communication of recommended assumptions and development of the annual written report. Before joining SSA in 2008, Karen worked for over a decade as a consulting actuary on private pension plans. She holds an A.B. in mathematics from Amherst College and a M.A. in mathematics from The Johns Hopkins University. She is a Fellow of the Society of Actuaries, an Enrolled Actuary, and a member of the American Academy of Actuaries and the National Academy of Social Insurance. She is a past president of the Middle Atlantic Actuarial Club. Steve GOSS has been Chief Actuary at the Social Security Administration since 2001. Mr. Goss joined the Office of the Chief Actuary in 1973 after graduating from the University of Virginia with a Master’s Degree in Mathematics. He graduated from the University of Pennsylvania in 1971 with a Bachelor’s degree majoring in mathematics and economics. He has worked in areas related to health insurance and long-term-care insurance as well as pension, disability, and survivor protection. Mr. Goss is a member of the Society of Actuaries, the American Academy of Actuaries, the National Academy of Social Insurance, the Social Insurance Committee of the American Academy of Actuaries, and the Social Security Retirement and Disability Income Committee of the Society of Actuaries. 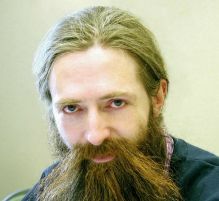 Aubrey de GREY is a biomedical gerontologist based in Cambridge, UK and Mountain View, California, USA and is the Chief Science Officer of SENS Research Foundation, a California-based 501(c)(3) biomedical research charity that performs and funds laboratory research dedicated to combating the aging process. He is also Editor-in-Chief of Rejuvenation Research, the world’s highest-impact peer-reviewed journal focused on intervention in aging. He received his BA in computer science and Ph.D. in biology from the University of Cambridge. His research interests encompass the characterisation of all the accumulating and eventually pathogenic molecular and cellular side-effects of metabolism (“damage”) that constitute mammalian aging and the design of interventions to repair and/or obviate that damage. Dr. de Grey is a Fellow of both the Gerontological Society of America and the American Aging Association, and sits on the editorial and scientific advisory boards of numerous journals and organisations. He is a highly sought-after speaker who gives 40-50 invited talks per year at scientific conferences, universities, companies in areas ranging from pharma to life insurance, and to the public. Sam GUTTERMAN'S forty five year career in the insurance industry has covered a wide professional scope including life, health, property & casualty, mortgage, social insurance and government. He has served clients in insurance companies and government agencies on three continents and covered a wide range of financial issues. After receiving a bachelor’s of arts in mathematics and a master’s in actuarial science from the University of Michigan, Sam began his career at the CNA Insurance Companies where he last served as Assistant Vice President. From CNA he moved to Price Waterhouse (later PricewaterhouseCoopers) where he retired in 2014 as a Director and Consulting Actuary. Laura HARDY, Business Development Director, UK & Ireland is part of RGA’s UK Global Financial Solutions team focusing on longevity, asset intensive and capital motivated reinsurance solutions. Since joining RGA in 2012, Laura and her team in the UK have closed over $15bn in new longevity transactions for RGA, including the largest deal in the UK market in 2015. Based in London, Laura actively works with RGA’s partners in the UK and other markets to develop longevity solutions. RGA launched its entry into the longevity risk market in 2008 and quickly became an established leader in reinsurance of both bulk and impaired annuities. RGA currently has in excess of $30bn in force in the UK, US, Canada, the Netherlands and France and is at the forefront of developing alternative longevity risk solutions for its clients. RGA has expanded its longevity offering in the UK in recent years to offer asset intensive solutions on annuity books which transfer both market and longevity risk. Tom JONES is vice president and Head of the Pension Risk Transfer Funded Transaction Pricing Team at Prudential. The team determines the prices for Pension Risk Transfer requests. For each request this team underwrites the mortality, evaluates key liability risks and reserving frameworks and works together with members of the Asset portfolio management team on the asset/liability management. Prior to this role Tom lead the Global Longevity Underwriting for Prudential Retirement’s Pension & Structured Solutions business. His team underwrote the mortality and other key liability risks for the funded pension risk transfer, structured settlements and longevity reinsurance products. Tom led the mortality and liability underwriting on the GM and Verizon pension risk transfer deals which were first of their kind bulk transfers of $33 billion of pension liability. For Longevity Reinsurance he lead the underwriting for the British Telecom Longevity Risk Transfer deal which is the largest such transaction to date in the UK.Tom’s career with Prudential spans 29 years, and in addition to his extensive experience in pricing pension products, he has held positions with the Corporate Actuarial, Portfolio Management and Life Insurance Illustrations groups. Tom earned a B.A. in math and computer science from Potsdam College, and an M.A. in math from Binghamton University. He is an Associate of the Society of Actuaries. Amy KESSLER is senior vice president and head of Longevity Risk Transfer within Prudential's Pension Risk Transfer business. In this role, Amy leads Prudential’s longevity reinsurance business globally and serves on the senior leadership team for Prudential’s pension risk transfer efforts in the United States. In 2011, Amy led Prudential's successful launch of its longevity reinsurance product and, together with her exceptional team, has closed more than $37 billion in international reinsurance transactions since, covering members of nearly 200 pension funds in the United Kingdom, including British Airways and Rolls Royce. In 2014, Amy led Prudential’s reinsurance team in the largest and most innovative longevity risk transfer transaction on record for the BT Pension Scheme – this transaction was recognized as Deal of the Year by Risk Magazine and earned Prudential top honors as Reinsurer of the Year. In 2015, Prudential was again named Reinsurer of the Year for reinsuring longevity risk for UK insurers. With more than 25 years of experience, Amy is an innovator whose work helps pension funds proactively manage longevity risk and create retirement security for their members. Vladimir NICENKO is a partner in the Corporate and Financial Services Department and a member of the Insurance Industry Sector Group. His practice focuses on capital markets and alternative risk transfer transactions involving US and international insurance and reinsurance companies, with a particular emphasis on new financial products. Vlad has represented issuers, sponsors and underwriters on a wide variety of capital markets transactions, including public offerings and private placements of equity, surplus, debt and hybrid securities. He has extensive experience in all aspects of structured solutions for the insurance industry, including pension risk transfer transactions, embedded value and excess reserve financing transactions, contingent capital facilities, derivative instruments and other alternative risk transfer solutions. Vlad also has extensive experience in advising companies more generally on corporate and securities law issues, including disclosure and reporting obligations under US federal securities laws, as well as corporate governance issues. 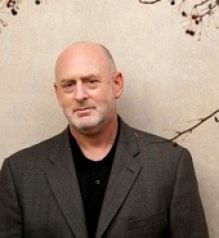 S. Jay OLSHANSKY received his Ph.D. in Sociology at the University of Chicago in 1984. He is currently a Professor in the School of Public Health at the University of Illinois at Chicago, Research Associate at the Center on Aging at the University of Chicago, and Senior Scientist at Lapetus Solutions, Inc. 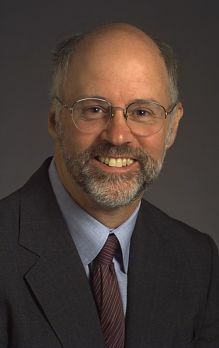 The focus of his research to date has been on estimates of the upper limits to human longevity, exploring the health and public policy implications associated with individual and population aging, forecasts of the size, survival, and age structure of the population, pursuit of the scientific means to slow aging in people (The Longevity Dividend), and global implications of the re-emergence of infectious and parasitic diseases. 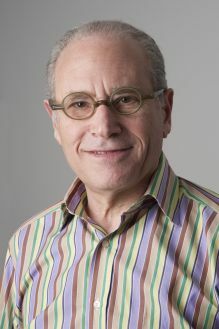 Dr. Olshansky is on the Board of Directors of the American Federation of Aging Research, he is on the advisory board of U.S. Preventive Medicine and Trimlio; he has advised the U.S. Social Security Administration, the WHO, United Nations, numerous insurance and reinsurance companies, and the governments of the U.K. and Switzerland on their forecasts of mortality; and he is the author of The Quest for Immortality: Science at the Frontiers of Aging (Norton, 2001); A Measured Breath of Life (2013); and he is the editor of Aging: The Longevity Dividend (2015, Cold Spring Harbor Laboratory Press). Laurence PINZUR. After receiving a B.A. in Mathematics from the State University of New York at Buffalo, Larry obtained a Master’s degree in Statistics and a Doctorate in Mathematics, both from the University of Illinois at Urbana-Champaign. Larry worked as a consulting actuary in the retirement field for over thirty years, before focusing on actuarial R&D starting in 2009. Larry has been an active volunteer on a number of Society of Actuaries’ committees, including the Retirement Systems Research Committee, the Retirement Plans Experience Committee (RPEC), and the Longevity Advisory Group. Anna RAPPAPORT is an actuary, consultant, author, and speaker, and is a nationally and internationally recognized expert on the impact of change on retirement systems and workforce issues. She is passionate about improving retirement security and opportunities for older Americans and is focused on making a difference. Some of the specific issues she has focused on include women’s security, disability and defined contribution plans, phased retirement, and improving the individual’s ability to plan. Anna is a past- President of the Society of Actuaries and chairs its Committee on Post-Retirement Needs and Risks. Anna formed Anna Rappaport Consulting in 2005 after retiring from Mercer at the end of 2004 after 28 years with the firm. Anna became a Fellow of the Society of Actuaries in 1963 and she is a member of the American Academy of Actuaries. She has an MBA(1985) from the University of Chicago Booth School of Business. She serves on the Advisory Board of the Pension Research Council and the Board of the Women’s Institute for a Secure Retirement. Anna is also a painter and examples of her paintings and her writings can be found on her website, www.annarappaport.com. 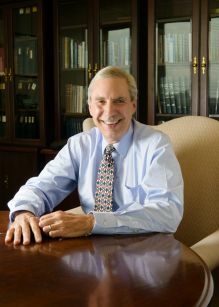 Richard L. SANDOR (Ph.D.) is Chairman and CEO of the American Financial Exchange, an electronic marketplace for small and mid-sized banks to lend and borrow short-term funds. He is also the CEO of Environmental Financial Products, which specializes in inventing, designing and developing new financial markets. EFP was established in 1998 and was the predecessor company and incubator to the Chicago Climate Exchange (CCX), the European Climate Exchange (ECX), the Chicago Climate Futures Exchange (CCFE) and the Tianjin Climate Exchange (TCX).Dr. Sandor is currently the Aaron Director Lecturer in Law and Economics at the University of Chicago Law School and a Visiting Fellow with the Smith School of Enterprise and the Environment at Oxford University. He was honored by the City of Chicago for his universal recognition as the “father of financial futures”. In 2002, he was named by TIME Magazine a “Hero of the Planet”; and in 2007 as one of the magazine’s “Heroes of the Environment” for his work as the “Father of Carbon Trading.” In October 2013, Dr. Sandor was awarded the title of Chevalier dans l´ordre de la Légion d´Honneur (Knight in the French National Order of the Legion of Honor), for his accomplishments in the field of environmental finance and carbon trading. He holds an honorary degree of Doctor of Science, honoris causa, from the Swiss Federal Institute of Technology (ETH). Dr. Sandor is a Board Member of the Clean Energy Trust, a Member of the Advisory Board of the Center for Financial Stability and the Smithsonian Tropical Research Institute; and a Senior Fellow of the Milken Institute. He served on the board of directors of leading commodity and futures exchanges in the United States and Europe. Dr. Sandor is the author of “Good Derivatives: A Story of Financial and Environmental Innovation,” also published in Chinese by People's Oriental Press; and the lead author of “Sustainable Investing and Environmental Markets: Opportunities in a New Asset Class” (published by World Scientific). 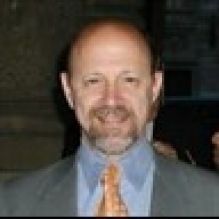 Stuart SILVERMAN is a principal and consulting actuary in the New York office of Milliman. He co- manages the Life consulting practice in New York. He joined the firm in 1999. Stuart consults on life insurance and annuity products. Over the past several years, he has advised insurance companies, banks, hedge funds, and financial guarantors on capital market securitizations and private structured transactions relating to reserve redundancies, embedded values, and longevity risk. Stuart also has experience in reinsurance, demutualizations, asset liability management, mergers and acquisitions, market-conduct lawsuit settlements, product development, reserve valuation, and dividend determination.